The coolness of the mornings and the angle of the sun on my drive into work are both undeniable indicators that the long, hot days of summer are slowly moving on, making way for my favorite season – fall! 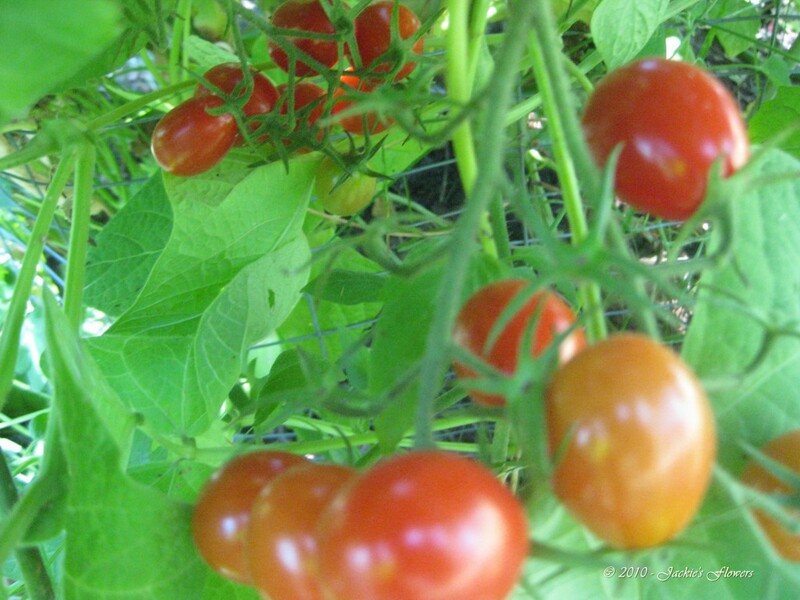 While I love the beauty and bounty from the gardens – and the harvest of tomatoes, cabbage, and potatoes are more than abundant this year – fall is still my favorite time of the year. I love the cool, crisp air, the vivid colors as the leaves change and fall to the ground, and visiting local apple orchards to enjoy the wide variety of apples and treats from the harvest. Since most of the garden chores are either finished or can’t yet be done, I’ve been spending a great deal of my free time creating floral arrangements and bouquets with a paint brush. I’ve been having a great time finding unique items at garage sales or second hand shops and redecorating them to give them a new life. This table was painted white, but a fresh coat of vintage green paint gives it a new look. Adding some flowers was fun and brings the garden indoors. 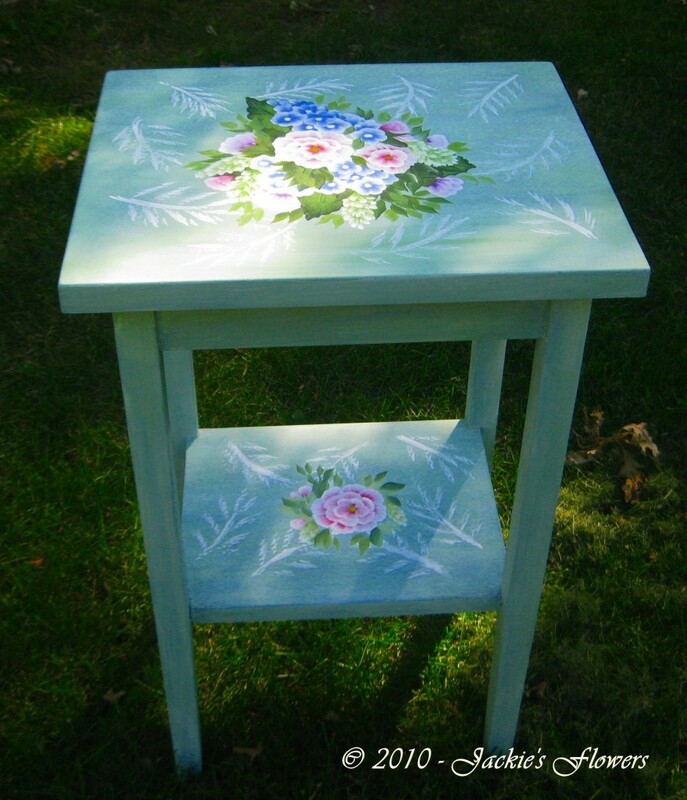 This little table got a fresh coat of vintage green paint and some flowers to brighten it up. Recently I found a vintage child’s rocking chair and a doll-size rocking chair. I spent the afternoon painting them both to match. Sitting on the back patio with the summer breeze blowing the paint dry (sometimes a little too quickly) was very relaxing. Letting my imagination run wild, I imagined the little girl that might enjoy these matching chairs. 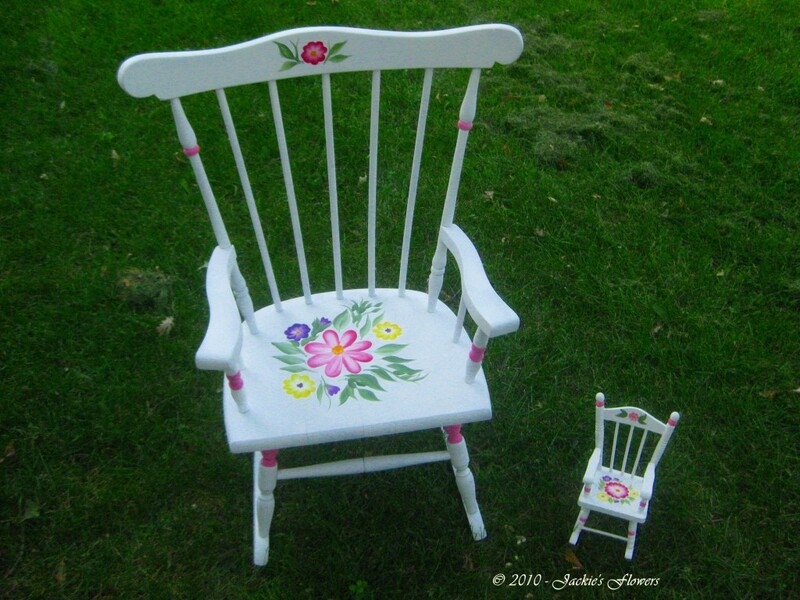 A fresh coat of paint for each of these rockers gives them a new life. Our summer in Minnesota has been especially warm this year, and it is the first time in many years that I didn’t get a break from mowing the lawn at all. There’s been enough rain throughout the entire summer, that the grass has required a weekly mowing all season. The crop of water lettuce and water hyacinth in the pond is also very abundant. 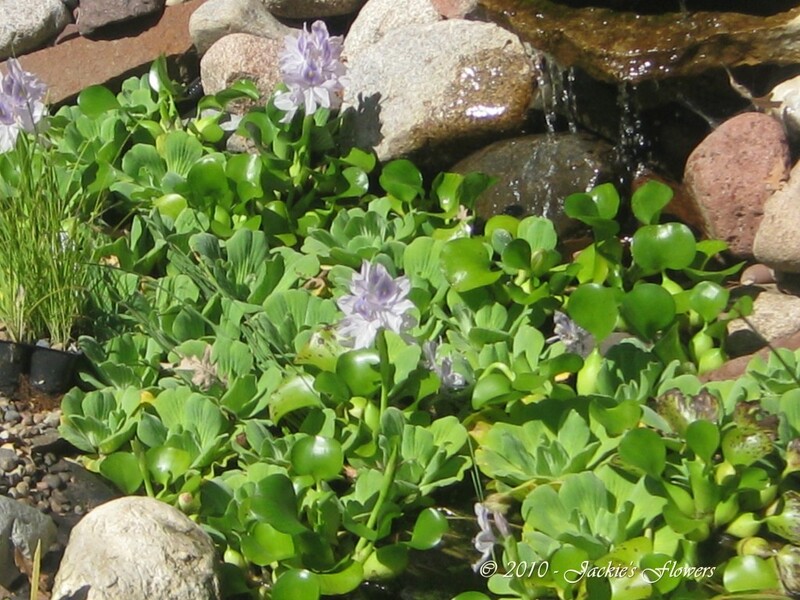 Almost 90% of the surface of the pond is covered with water hyacinth and water lettuce. 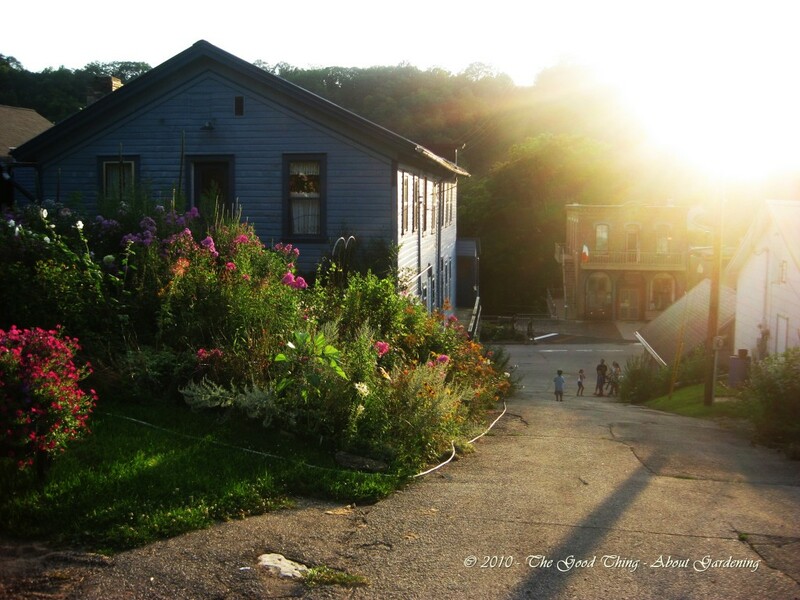 Whether mowing the lawn, harvesting vegetables from the garden, or recreating the flower gardens with a paint brush, I’m spending as much of my free time outdoors as possible, before the cold days of winter blow in. Two churches sit atop the highest point in town. This is a view from that hilltop. 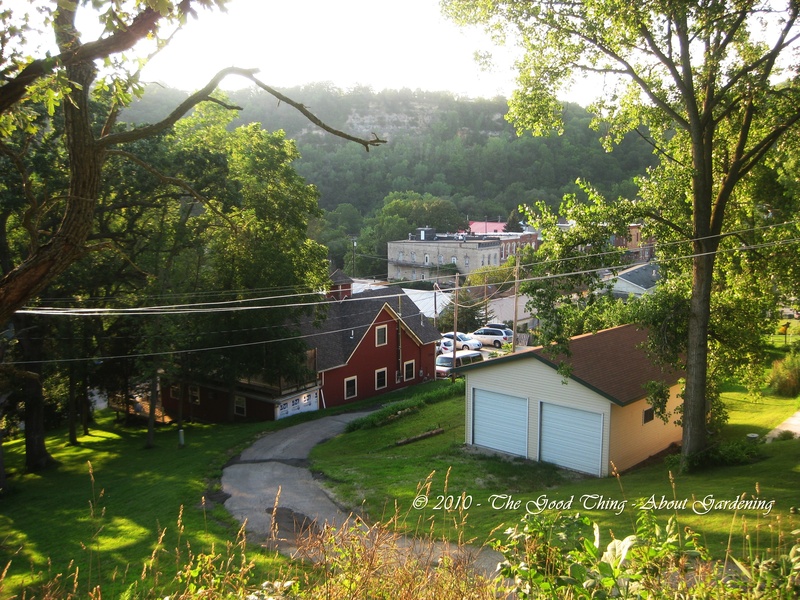 One of my favorite places to sneak away to when I want a little R&R is Lanesboro, MN – a quaint small town just 15 miles from the farm where I grew up in southeastern Minnesota. This past week, Steve and I were able to take a few days off, which allowed us to attend my annual (large) family reunion on Sunday. 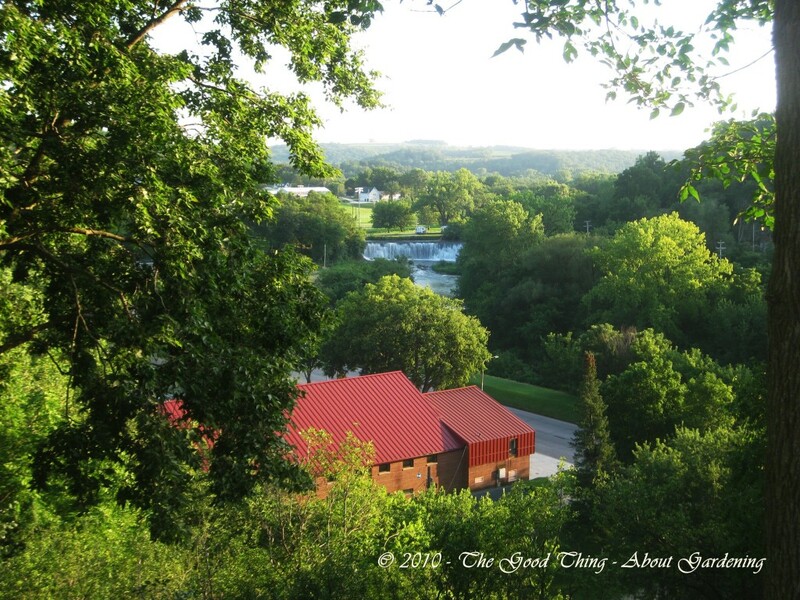 Afterwards we drove along the windy gravel roads through the limestone bluffs and valleys to Lanesboro. 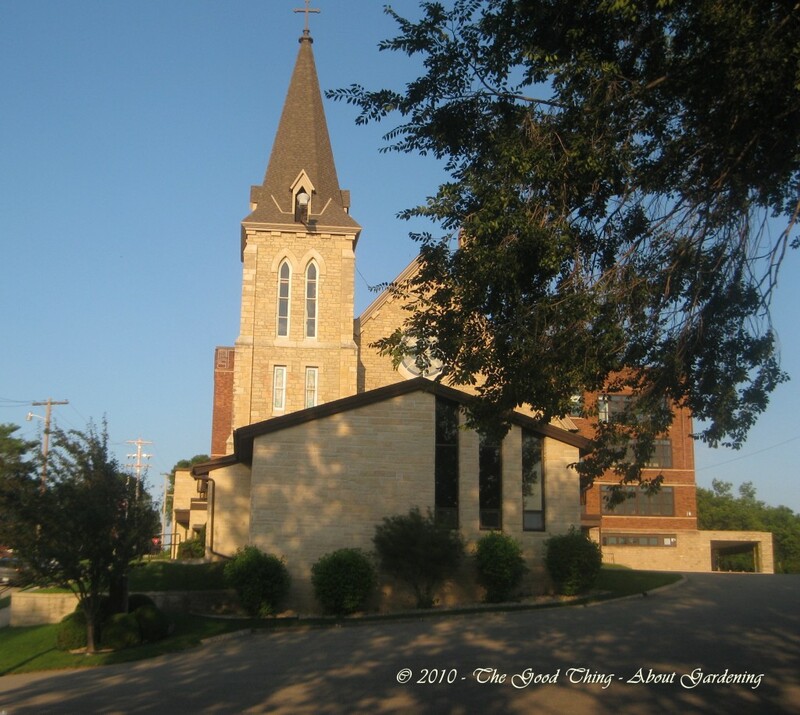 The Lutheran Church on Church Hill was built by the Presbyterians using local limestone. 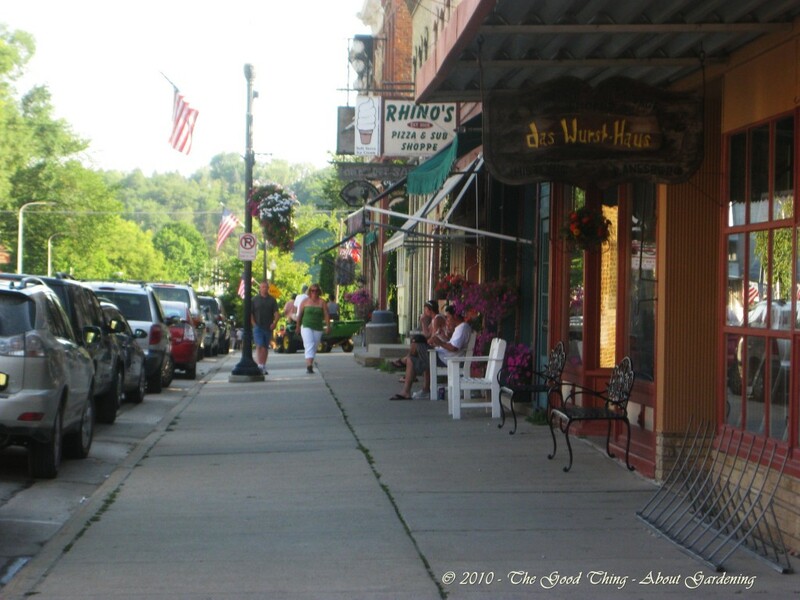 There are many activities to keep the whole family entertained including paved bike trails, Amish tours, tubing or canoeing the Root River, or just strolling through the colorful, flower lined streets window shopping in the many (art) shops along the way. Two years ago, Steve and I biked the entire 60-miles of the trails, visiting each of the small towns along the way. It was a vacation that we’ll always remember. This year, we were not up to biking yet, as Steve is still recovering from a stroke that affected his left side, just a few months after that trip. He is building up his strength with the aid of a Sun trike that we purchased earlier this summer from Edina Bike & Sport, and we are confident that it’s only a matter of time before we’re able to get back out and do 5-10 miles of biking at a time. 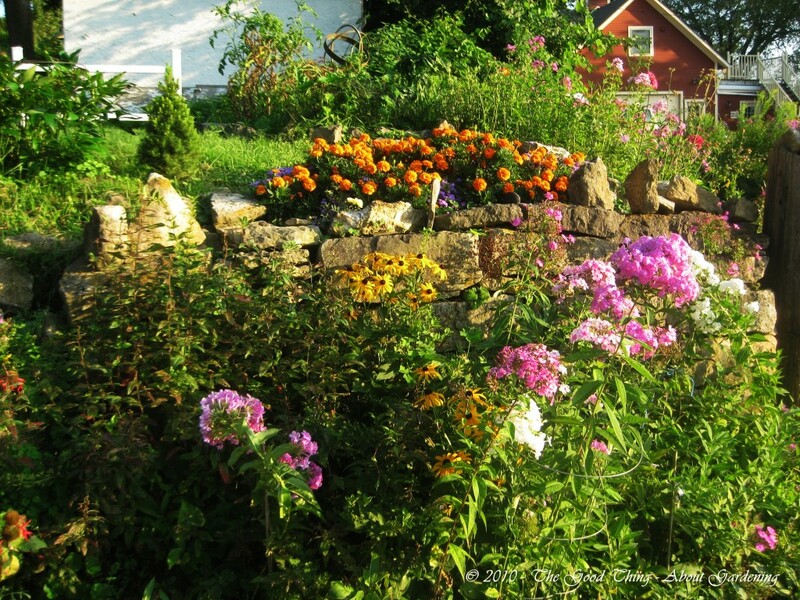 This past weekend was spent enjoying the beautiful flower gardens, enjoying fresh, locally grown food at Petal Pushers Cafe (which was bustling with activity on Sunday evening and featured live, festive music from a local artist). 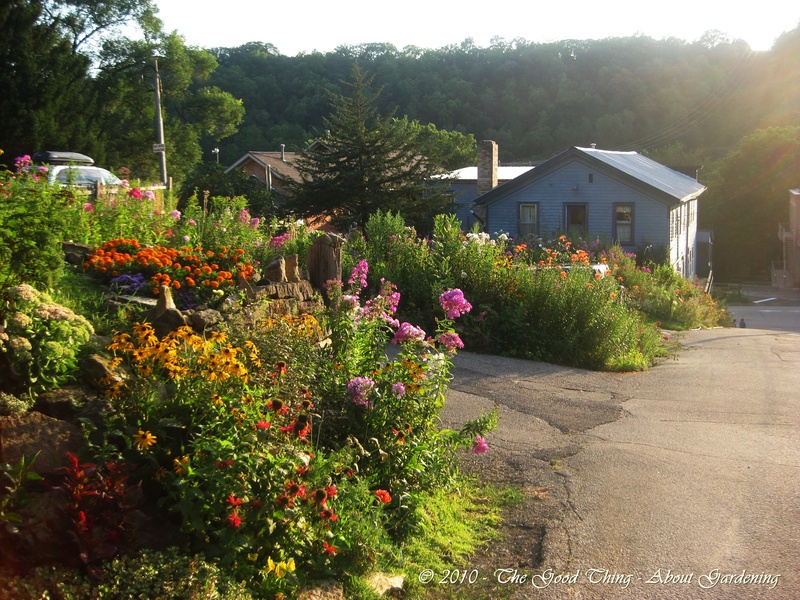 We drove up the steep hills and captured some of the beauty of the private gardens that are abundant in Lanesboro. 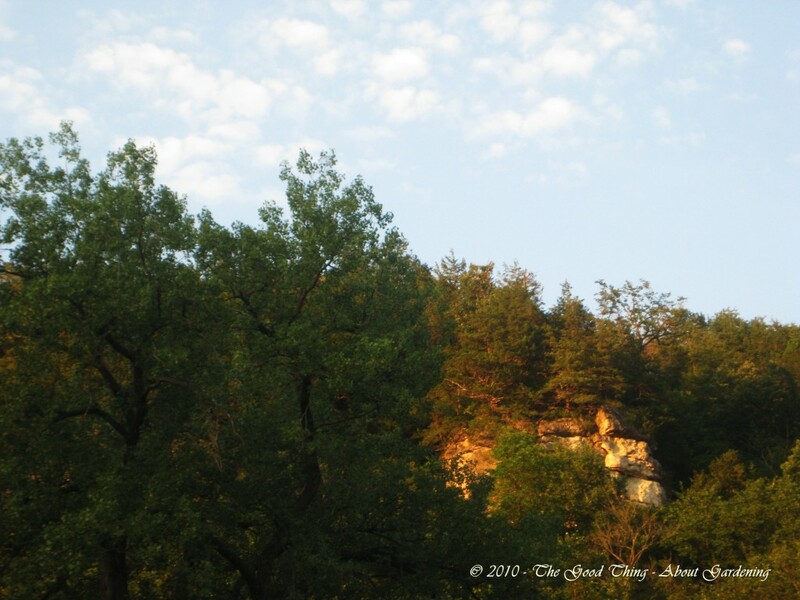 The sun was setting behind the bluffs adding a golden glow to the evening. Norma keeps a beautiful perennial garden. 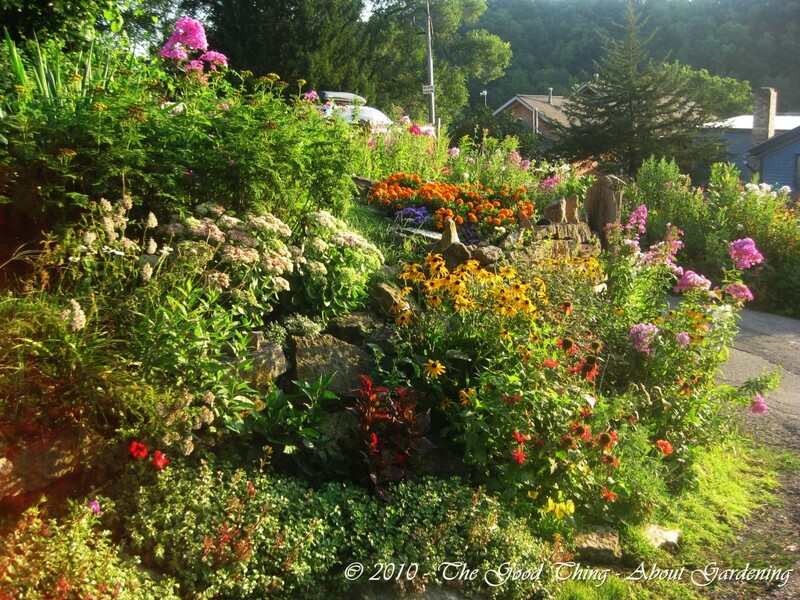 Norma's neighbor has beautiful gardens too. 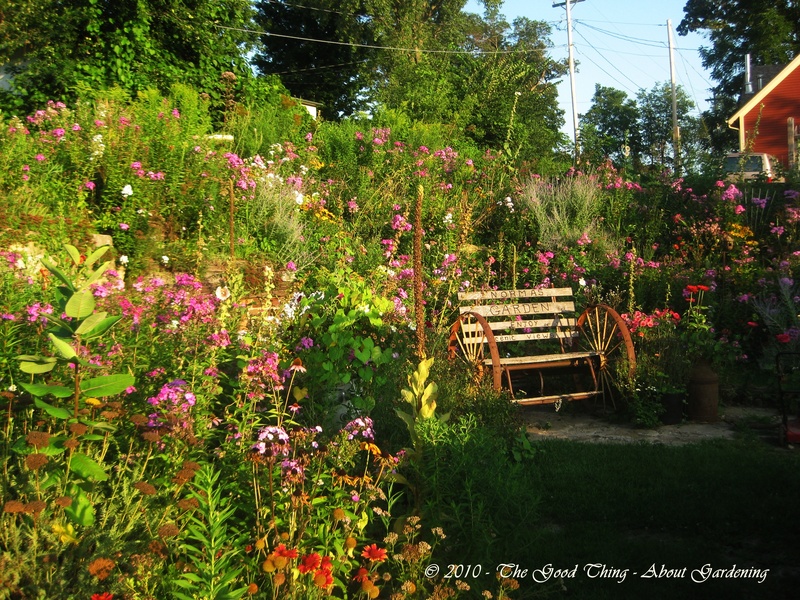 Garden Phlox and Black Eyed Susans stand out in the evening sun. Limestone rocks provide a backdrop for the gardens and was used to build many of the buildings in town years ago. The Root River was running fast and high with the recent heavy rains. 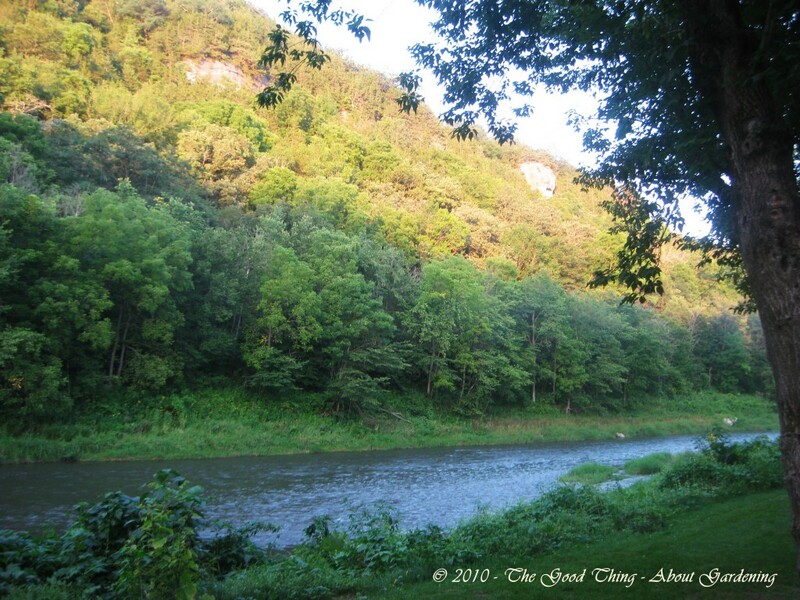 We made it back to camp at the Eagle Cliff Campgrounds, located 3 miles east of town, just in time to enjoy the sun setting behind the bluffs. Clear skies were misleading, as it rained during the night. Some of the family discovered they had a leaky tent and woke up with soaked bedding early in the morning. We were fortunate to have a comfortable room in the Eagle Cliff motel. It was one of the best night’s of sleep I’ve had in months – nestled in the valley the cell towers and 3G networks don’t work so you really can get away from it all. Not to worry though – there is cell coverage in downtown Lanesboro, and one only needs to drive to the top of a hill outside the campgrounds to get coverage for most services.